How Listening to My Mom Paid Off! When I was just 14 years old my mom insisted that I open my own banking and savings accounts to learn how to manage money. And when I say “manage” I mean “save money and never spend it.” At least that’s how I interpreted it at the time! She brought me to Capital One for a meeting and ever since then she has always told me to save for my future. While I didn’t always take that advice as a teenager or in my early 20’s…I recently realized that it might finally be time to start listening to my mom – and myself. This is my mom who came to support me at the Capital One event! 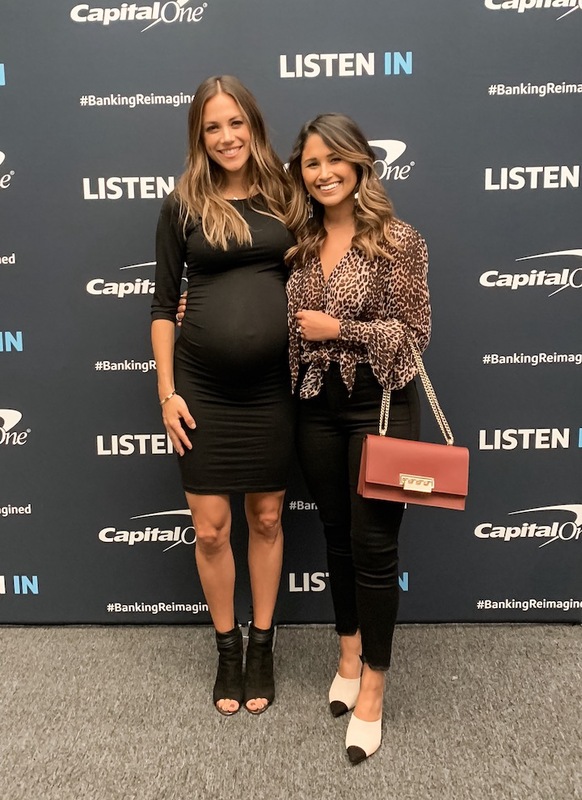 If you follow me on Instagram, then you know I actually just partnered with Capital One on an exciting program called Listen In, focused on the power of listening and being more present. Capital One conducted an interested study called the Capital One Listen in Survey and found that over 50% of Americans feel they aren’t actively listened to by their friends, family members or colleagues. Fortunately, Capital One is working toward changing that with their Listen In program. It may have taken me some time to finally listen to my mom about finances, but you don’t have to keep putting off how you listen to yourself – and how others listen to you – on the topic of money. You can start the dialogue now. And Capital One can give you the nudge you might need. 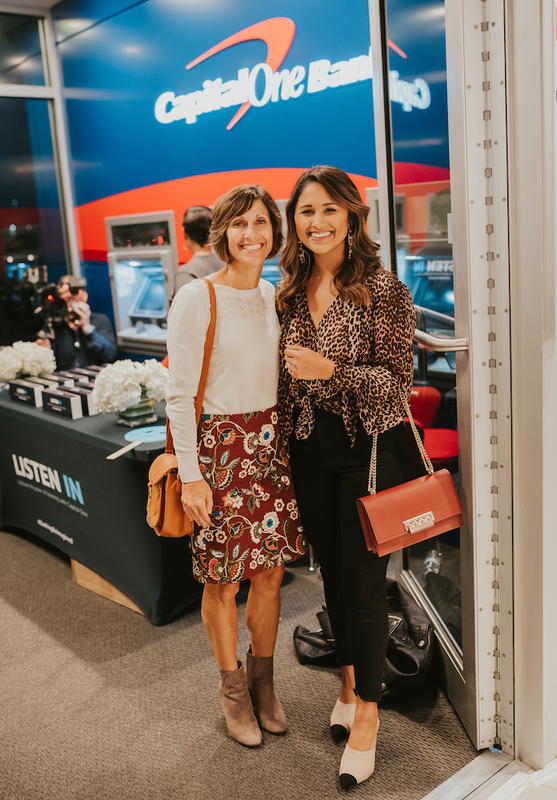 I recently got to attend one of their cool Listen In events at a Capital One location in Slidell where we talked about the importance of listening and how it has impacted our lives in the best ways possible. 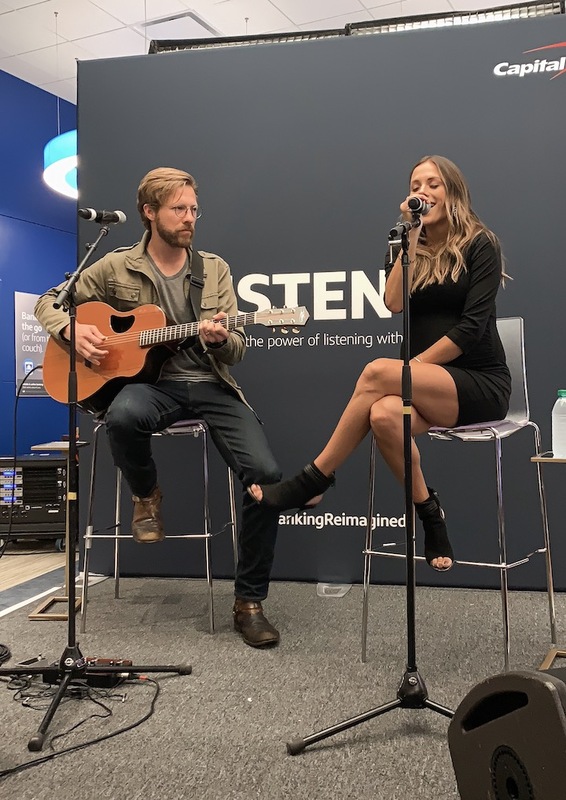 We also got to “listen in” on an exclusive interview with actress and country music singer Jana Kramer followed by a beautiful, intimate performance with just Jana and her guitarist. I love that quote from her because she is so right. Sometimes when I call a friend to tell them about a problem I’m having, I’m not looking for a solution from them, I’m just looking for emotional support and a comforting nod. I also need to remember to do this myself when others come to me with their stories. If they really want my advice, they’ll ask! Whether I was paying full attention or not, my mom always encouraged me to keep a savings account for my future – as well as an additional account for emergencies like medical issues, accidents etc. There was a time I thought it was excessive – and, it turns out, I wasn’t ready to really listen. But with her advice I was able to eventually save up for my very first house with my husband and pay off all my student loans and my car. More importantly, when my dad got diagnosed with MS about two years ago, I was able to help him financially by using my emergency funds until he got back on his feet. Turns out that listening to my mom – and eventually listening to myself – really paid off and now helps me live a happier and more stress-free life. 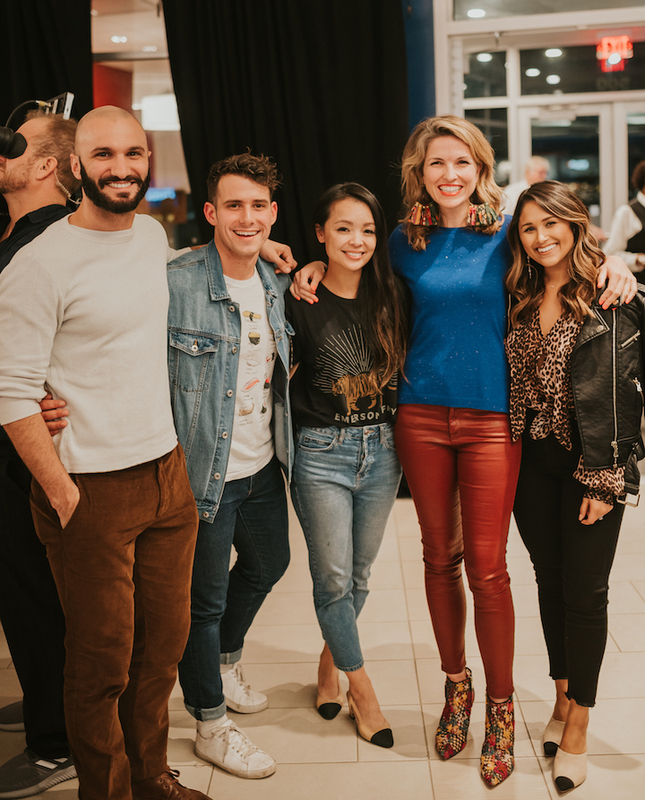 Capital One believes in truly listening to people so they can build a better bank around the individual, as we are all on different financial journeys – and they’re proving they’re here to partner with you on that journey. That’s why I’m so excited to be a part of their Listen In program. The company is currently transforming branches with modern design and technology as well as providing new free services like Money Coaching and Money Workshops, programs centered around your values and how you can achieve your goals based on those values. Capital One also has no minimums or fees, simple and innovative products and tools and you can literally open an account from anywhere in 5 minutes. I have a personal checking account and 360 Business checking account with Capital One as well as a business credit card. I can personally attest to how simple and easy their tools can be. 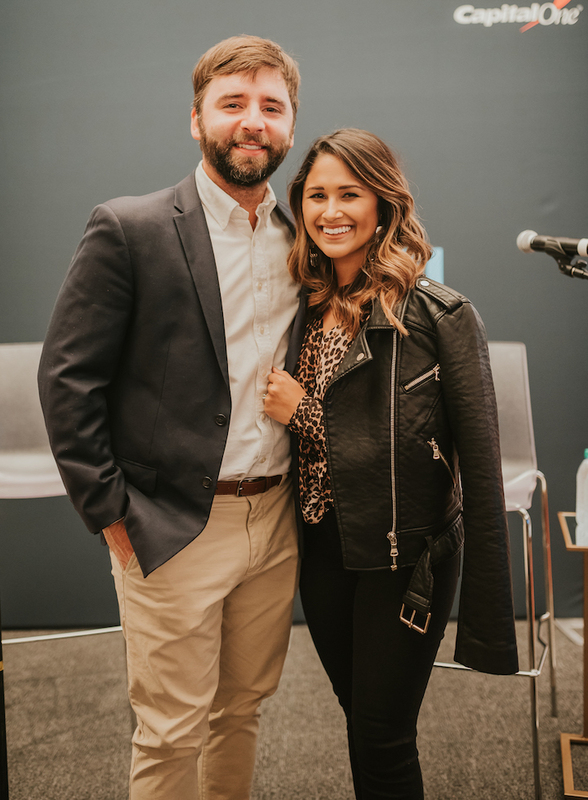 As I mentioned earlier, I’ve been banking with Capital One since I was only 14 years old and when I started my own business at age 22, I felt confident and comfortable choosing them again. I like how they offer multiple resources unique to my situation so that I can accomplish both business and personal matters with just one bank. Being a part of the community is vital to Capital One. I learned that they work with local businesses and entrepreneurs in our community, provide free space for non-profits and students to meet, volunteer and more. Go check out your local Capital One and chat with an Ambassador – they are there to listen. Comment on this post to tell me who you listen to most, if you think you listen to yourself effectively, and how it has made a big difference in your life. Disclosure: this post was created in partnership with Capital One, but as always these are genuine opinions and belong only to me. Thank you for supporting the wonderful brands/companies who support and allow me to bring you fresh and community-driven content.